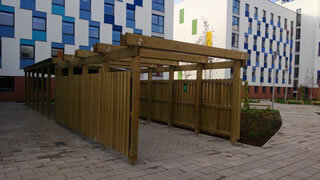 Setter Shelters were asked to develop new designs for the new campus build at The University of Essex' Wivenhoe Park Campus. The design brief was to develop robust aesthetic structures that would be proportionate to the new accommodation blocks being constructed. 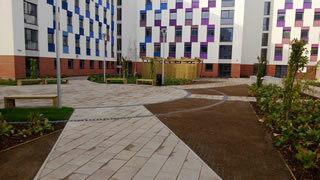 At the same time the designs would need to be produced entirely in natural materials in order to blend in with the landscaped external environment which featured planting schemes, grass and winding pathways. 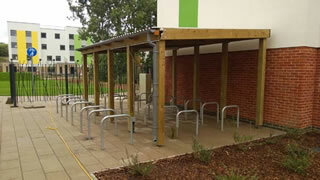 The development required cycle shelters and refuse bin storage structures to be located throughout the campus. Structures were to be linked in some locations and independent in others but of course all were to match and all were to provide enough provision for the large number of students set to take up residence in September 2013. 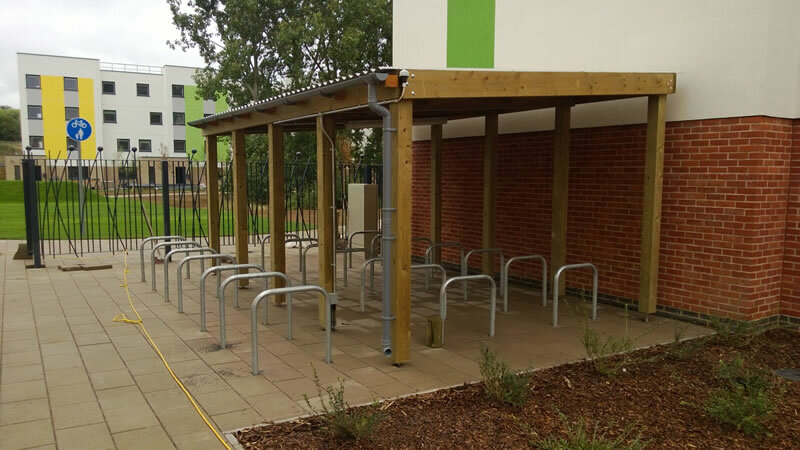 The cycle shelters feature box profile steel roofing with galvanised hoop cycle stands. The refuse stores did not require a roof covering but rather boarding side walls to provide screening of the bins. 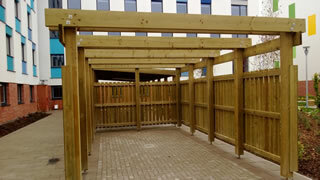 The structures were installed onto concrete pads via our flexible steel foot system. This ensures that timbers are not in ground contact prolonging the anticipated life significantly. Setter Shelters have recently been approached to provide similar shelters within housing association developments where similar communal spaces require robust but attractive structures to be installed.